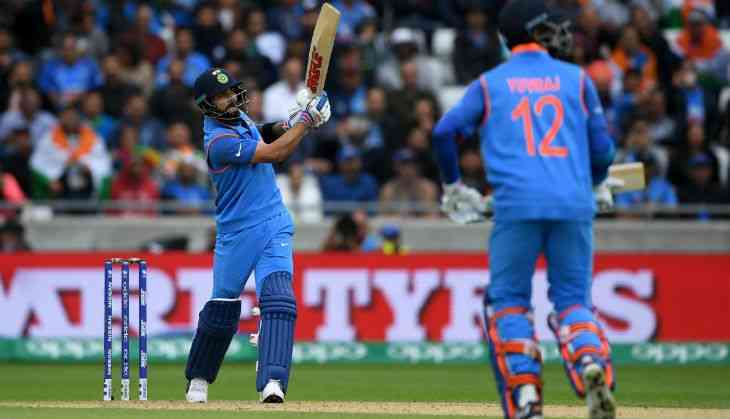 The Virat Kohli-led side received a flurry of praise from the cricket fraternity after they beat arch-rivals Pakistan by 124 runs in yesterday's high-octane Champions Trophy encounter at the Edgbaston Cricket Ground in Birmingham. Extending his heartiest congratulation to the Team India via his official Twitter account, out of favour left-handed batsman Suresh Raina hailed his side's smooth victory over Pakistan before calling on them to retain the Champions Trophy. "What a smooth win #TeamIndia. Heartiest congratulations!!! Way to go and bring the trophy ?? home! #INDvPAK #ChampionsTrophy2017 @BCCI @ICC," Raina tweeted. Former cricketer Mohammad Kaif also congratulated Kohli's side for clinching an easy win and mocked Pakistan for actually playing like a No.8 side in the world. "That was too easy for India. Pakistan played like a No.8 side. Congratulations India, superb victory.#INDvPAK," he said. Left-arm paceman Zaheer Khan wrote, "Clinical performance by Indian team to kick start the campaign. Congratulations!! #INDvPAK #CT17." Describing India's victory over Pakistan as `comprehensive', right-handed batsman Manoj Tiwary hailed his country's all-round performance and also backed them to continue the momentum in the rest of the eight-team marquee tournament. Former Indian opener Virender Sehwag continued his typical witty way and wrote, " Pote ke baad Bete. Koi Baat nahi Beta, Well tried ! Congratulations Bharat !#BaapBaapHotaHai #INDvPAK." Former Australian wicketkeeper-batsman Adam Gilchrist heaped praise on Yuvraj Singh, who was declared `Man of the Match` for his quick-fire half-century. "Wow. @YUVSTRONG12 still nailing it and as usual looking super cool. #INDvPAK #CT17," he tweeted. Meanwhile, former T20 skipper Shahid Afridi admitted that his country's age old problems with strike rotation and poor death bowling hurt them badly in the game. Echoing similar views, Pakistan Tehreek-e-Insaf (PTI) Chairman Imran Khan said, "Unless Pak cricket structure is totally revamped/reformed, despite an abundance of talent the gap between Pak & India will keep increasing." Except opener Azhar Ali, none of the Pakistani batters could stay for a long time at the crease and cope up with the pressure - of the target as well as of the Indian bowlers. Put in to bat first in a rain-hit encounter, openers Rohit Sharma (91) and Shikhar Dhawan (68) provided their side with a perfect start as the duo not only blasted half-century each but they also went on to stitch a huge 136-run stand, thus making them the most successful opening pair in the history of the eight-team marquee event. While Yuvraj was hitting freely, Kohli slowly gained in momentum and hammered his 40th fifty off 58 balls and his first against Pakistan. The duo added 93 runs for the third wicket. All-rounder Hardik Pandya (unbeaten at 20) added further woes to Pakistan as he rounded off India's innings by blasting three sixes to help them reach 319-3. The Kohli-led side will now lock horns against Sri Lanka at the Kennington Oval in London on June 8.